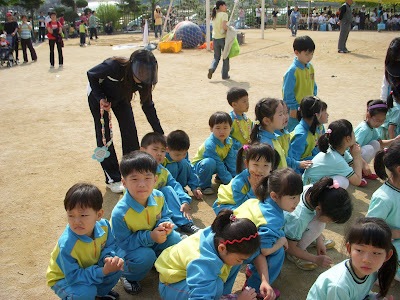 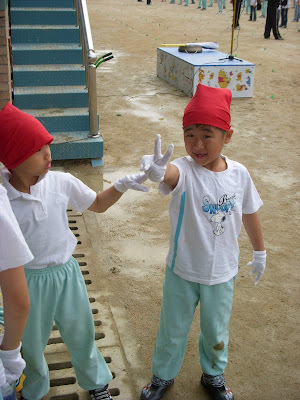 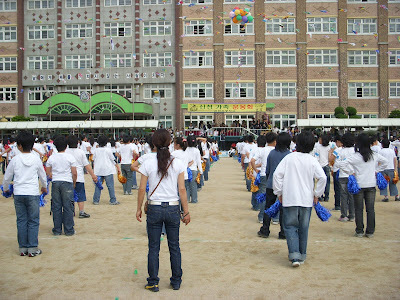 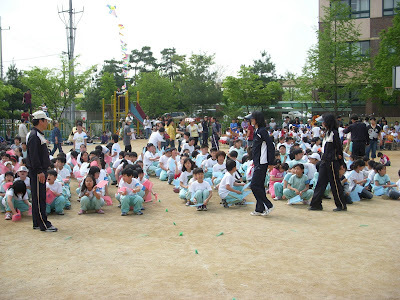 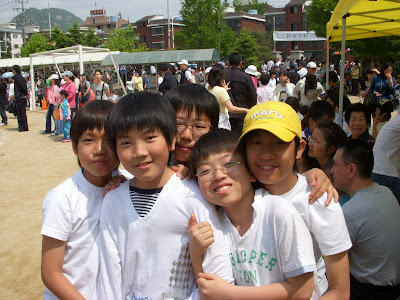 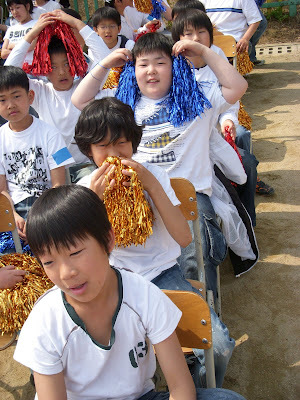 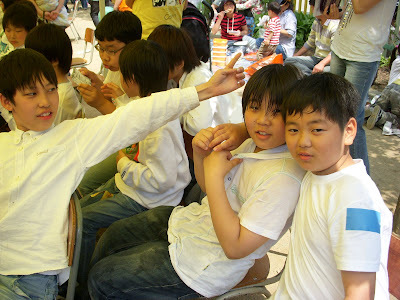 Last Thursday (May 1) was Sports Day at my school. 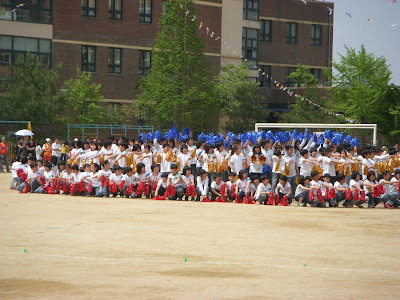 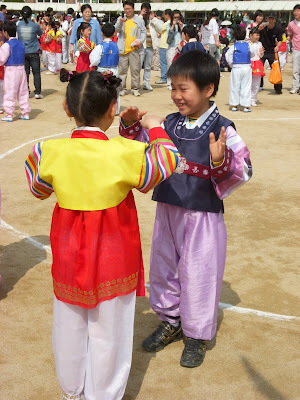 The kids ran races, performed dance items etc... 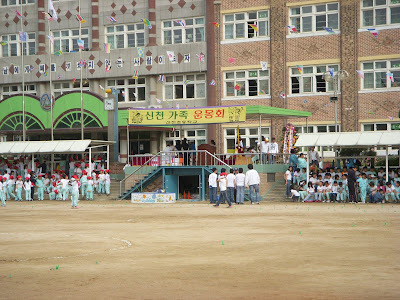 There were many parents there, and during lunch everyone camped out where ever and ate delicious food. 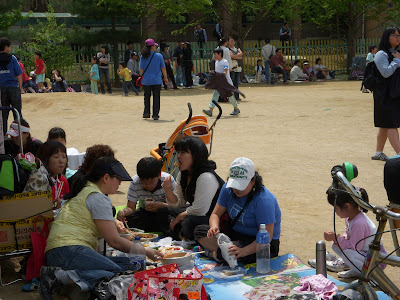 Some of my students introduced their parents to me and I was given so much food... tok-pokki (rice cake in hot sauce), fruit, cherry tomatoes, bread, ice coffee, juice etc...! 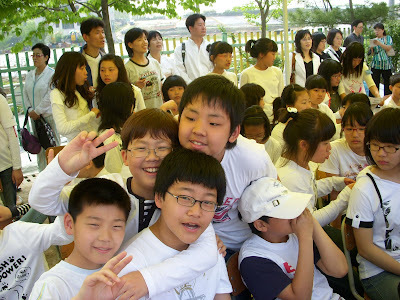 6th graders ~ the boy on right always gives me cookies or candy before class!